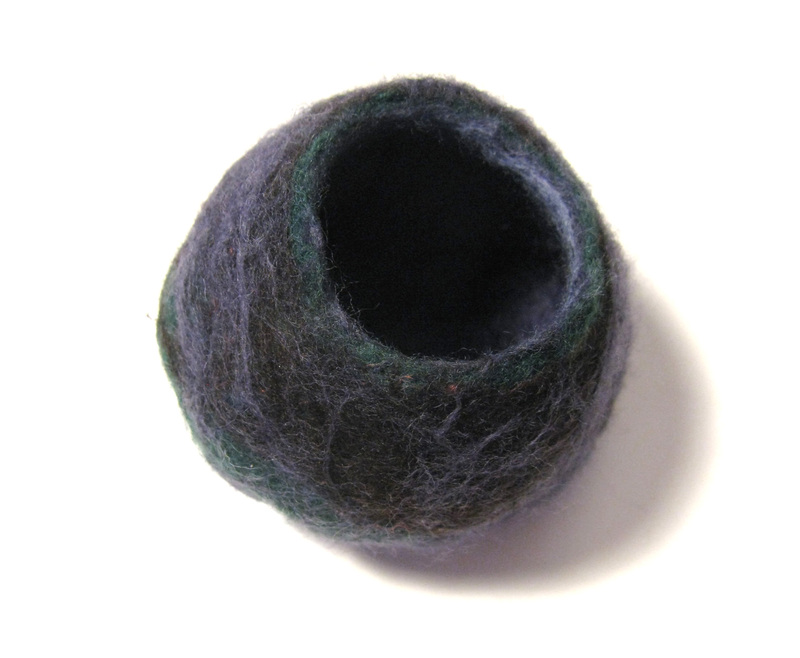 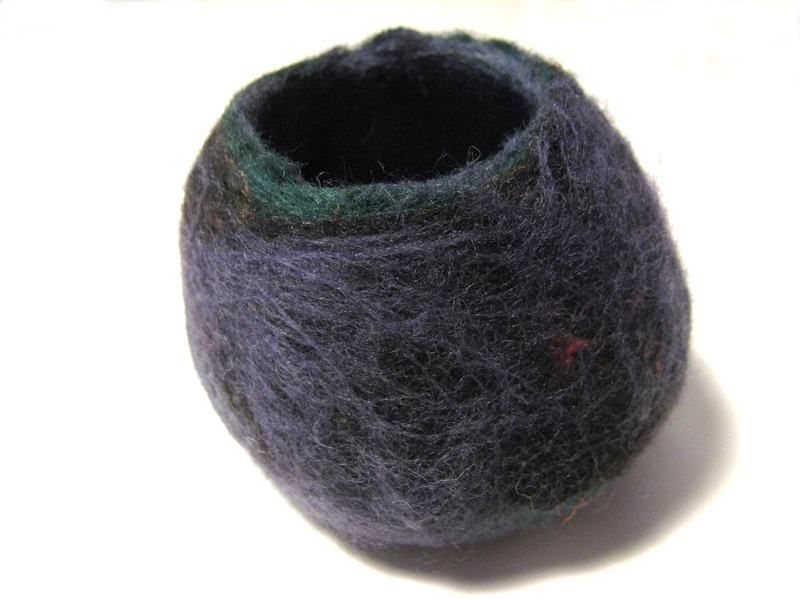 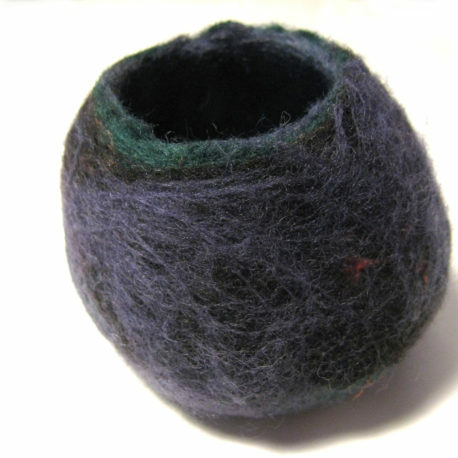 This felted bowl has a footprint of approximately 3″x3″ and is 2″ high. 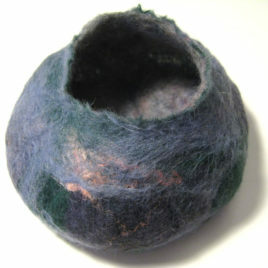 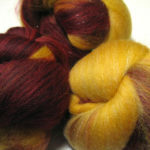 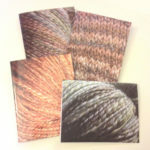 It was made by hand from merino wool in blue, green, purple, and brown, with pink silk accents. 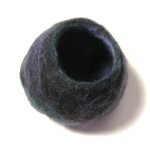 This bowl is fairly sturdy and more smooth than textured, and it would be perfect for storing small items.